Norman Campbell, Wiregrass Pioneer, participated in the 1836 Battle of Brushy Creek, near present day Adel, GA.
Norman Campbell was a Wiregrass Pioneer who came to south Georgia with his family in 1829. His parents, Alexander Campbell and Flora Morrison Campbell, had come to America from the Isle of Skye, Scotland in 1788, the same year the U. S. Constitution went into effect. Norman Campbell was an early tax collector of Lowndes County, back when it included the present day counties of Berrien, Clinch, Lanier, Echols, Cook, and Brooks. Three times a year he made a circuit around the county, an eleven days ride, to collect the taxes. He also participated in the Indian fight here in July, 1836, when the Creek Indians passed through here in their attempt to reach the Seminoles in Florida. He tells of his encounter with were an Indian in that fight. It was a running skirmish through the woods and he became detached from his party. Suddenly his horse shied and he discovered an Indian behind a tree. The Indian attempted to shoot him, but the gun only snapped. Dismounting, he approached the Indian, slowly raising his gun to his shoulder. He said if the Indian had begged for his life he intended to spare him, but the man stood quite still, clinched [sic] his teeth and looked him in the eyes with no sign of surrender, so he shot him. Also, 980 acres of land drawn by lots Nos. two hundred and twenty-one, (221,) two hundred and forty, (240,) all in the twelfth district, of originally Irwin now Lowndes county, levied on as the property of Norman Campbell to satisfy a fi fa from Lowndes Inferior Court, the Central Bank of Georgia vs Mary Graham maker, Dugald B. Graham, Norman Campbell and Moses Smith, adm’r., on the estatd [sic] of Ebenezer J. Perkins, Endorser. Morven, Ga., May 24. –(Special. )– There are some very old people in this district, among them being Mr. Norman Campbell, who came to this county in 1829. He was then a young man. Mr. Campbell is a full-blooded Scotchman. In 1846 he ran a wagon from Morven, then Sharp’s store to Magnolia, what was then a seaport town near the mouth of St. Marks river on the coast below Tallahassee, Fla. He hauled cotton down there and brought salt back. Cotton brought 3 to 4 cents per pound and salt brought in this county from $3 to $7 a sack, yet the people made some money and were contented. In this section are several other old men. Mr. George Mitchell is about eighty-six and so is John Delk. Mr. Mitchell came from Robeson county, North Carolina, and Mr. Delk from Liberty county, Georgia. Messrs. Campbell, Mitchell and Delk are the three oldest men in that section – all over eighty-five years old. Not very far behind these in age are Phillip Hiers, Rev. John Hendry and Richard Scruggs. Mr. George Mitchell gave Morven its name. Quitman, Ga., October 12. –(Special Correspondence. )– There are perhaps few more interesting characters in Brooks county than Norman Campbell. As the name indicates, he is of Scotch descent. His father and mother came to North America from the Isle of Skye in 1788, when they were children. He remembers that his grandmother could not speak a word of English and his parents invariably spoke Scotch with each other and their children spoke Scotch, Mr. Campbell not learning English until he was 8 years old. The Campbells came here in pioneer days from Telfair county. Mr. Campbell, who was born in 1910, is now 92 years old and has spent most of his life here and knows much of the early history of the country, and has played a part in all of it. He has now come down to a serene old age, as his picture shows. These latter years he spends all of his time, winter and summer, when the weather is dry, under a giant chinaberry tree in front of his house. It was here your correspondent found him one sunny afternoon recently in the very attitude of the picture. Mr. Campbell has lived in this house seventy-two years. He was the only son of the family and he had seven sisters. He did not marry, and after his parents’ death took care of his sisters until they married and left him. Two of them died and he took their children and reared them. In time these nieces and nephews also grew up and left him, and at the age of 63 he found himself quite alone, so he decided to marry. After three visits to Miss Wilkes, a young woman of 30 years, who lived in Berrien county, he asked her to marry him, and she did. When they got home they found a long table erected in front of the house with a wedding dinner on it, and everybody in the neighborhood present to welcome them. The couple had three children, and now there are three little grandchildren, all of them remarkably beautiful babies. Naturally Mr. Campbell has a store of reminiscences. He was the first tax collector of the county when it included all of the present Brooks, Berrien , Lowndes, Clinch and Echols counties. This was in 1836, and the taxes amounted to $332. He also participated in the Indian fight here in July, 1836, when the Creek Indians passed through here in their attempt to join the Seminoles in Florida. He tells of an encounter with an Indian in that fight. It was a running skirmish through the woods and he became detached from his party. Suddenly his horse shied and he discovered an Indian behind a tree. The Indian attempted to shoot him, but the gun only snapped. Dismounting, he approached the Indian, slowly raising his gun to his shoulder. He said if the Indian had begged for his life he intended to spare him, but the man stood quite still, clinched his teeth and looked him in the eyes with no sign of surrender, so he shot him. At that time this country, now so populous and cultivated, was virgin forests ans was overrun with bears and deer, ans well as Indians. In his hardy, outdoor life, Mr. Campbell contracted rheumatism when a very young man, and could not stand erect for several years. He heard of a doctor who gave steam baths for rheumatism, but being unable to go to him, he treated himself. He dug a pit and burned oak and hickory wood to coals – as for a barbecue. Over the pit he laid stout green poles and covered them with every herb he had ever heard of as possessing curative properties. Stripped of clothing, he wrapped himself in a heavy blanket and laid down on this, which, of course, induced heavy perspiration. After six or seven treatments he was practically cured, and has never been so badly afflicted with it since. Long before the war Mount Zion campground, near the Campbell home, was known throughout south Georgia as a rallying place for the religious, and it was in 1827 that the Campbells assisted in organizing the first camp meeting held there. The old patriarch recalled the past very vividly as he talked. He is still in good health and attributes it to his continued outdoor life, even when activity is forbidden him. The thing most impressive about him is his entire serenity, the natural outcome of a well-spent and well-rounded life. Uncle Norman Campbell Died Yesterday Near Morven. News has been received here of the death of Mr. Norman Campbell at his home near Morven yesterday after an illness of several weeks. Mr. Campbell was the oldest man in the county, being 96 years old and was prominent in the history of the county from the days of the earliest settlers. He was of Scotch descent and was a man of wonderfully fine character. No man ever lived in the county who was more generally beloved and esteemed and in his late years he has been surrounded by the tender care and veneration of friends and family. He retained his strength and faculties to a remarkable degree almost to the end of his long life. Mr. Campbell is survived by three children, Mrs. Robert Ousley, Alex Campbell and Norman Campbell Jr, all of Morven. The funeral and internment will take place today at three o’clock at the old Camp ground cemetery near Morven. 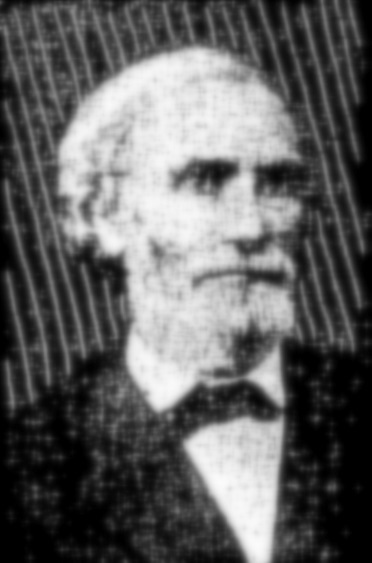 Mr. Campbell was a devoted member of the Methodist church and a prominent Mason. – Quitman Free Press.